In today's digital social media-driven world, you know online presence is a must-have - not a nice-to-have. 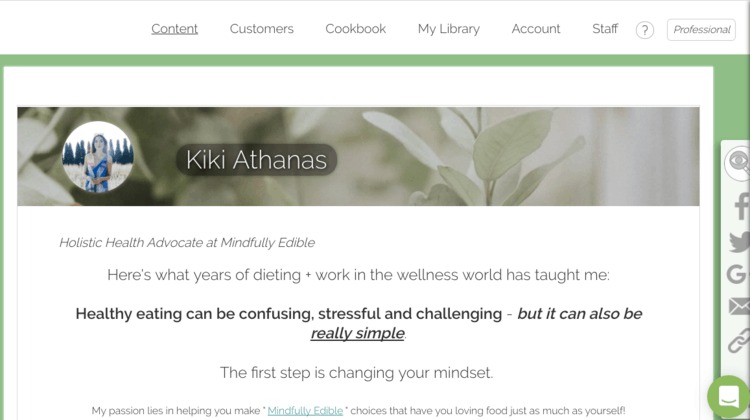 Why compete with all the other recipe bloggers and nutritional media influencers by spending endless time and resources building out a website from scratch? With Meal Garden, you've provided with your very own domain link to house and share your contact in a way that's interactive, professional, and works to optimize your business goals.